Lack of physical activity can make you prone to infections. 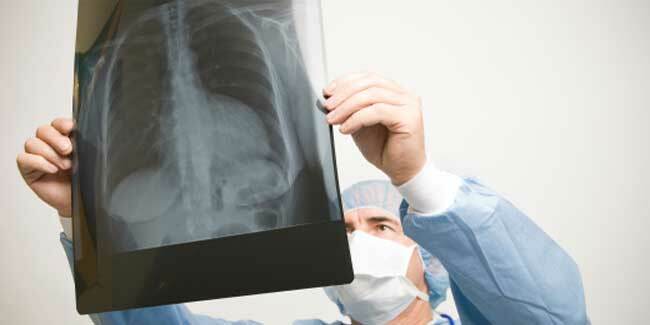 Air or gas collects in the space around the lungs in pneumothorax. ARDS causes the lungs to become stiff. Lying down for long periods can cause blood clots to form in your body. If you have ARDS, you can develop other medical problems while in the hospital. The most common are infections, pneumothorax (noo-mo-THOR-aks), lung scarring, and blood clots. Infections - Being in the hospital and lying down for a long time can make you prone to infections, such as pneumonia. Being on a ventilator also puts you at higher risk for infections. Infections can be treated with antibiotics. 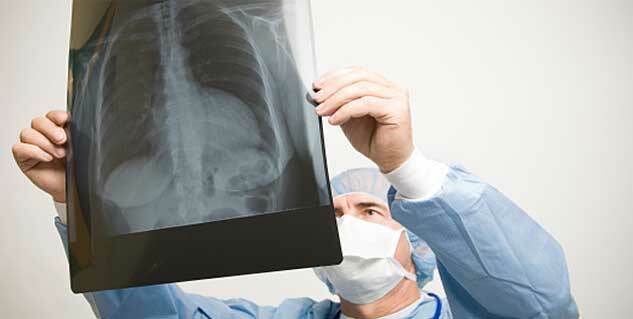 Pneumothorax (collapsed lung) - This is a condition in which air or gas collects in the space around the lungs. This can cause one or both lungs to collapse. The pressure of the air from a ventilator can cause this condition. If you develop pneumothorax, your doctor will put a tube into your chest to remove the air and let your lung(s) expand again. Lung scarring - ARDS causes the lungs to become stiff (scarred) and makes it hard for them to expand and fill with air. Being on a ventilator also can cause lung scarring. Blood clots - Lying down for long periods can cause blood clots to form in your body. A blood clot that forms in a vein deep in your body is called a deep vein thrombosis. This type of blood clot can break off, travel through the bloodstream to the lungs, and block blood flow. This condition is called pulmonary embolism. What is the treatment of Respiratory Distress Syndrome? What is the diagnosis of Respiratory Distress Syndrome?